Are You Currently Searching for a Newer Home in Lexington, SC that is zoned in a Great School District? Are you looking for a neighborhood with amenities such as a community pool, cabana or fishing pond? Near an interstate for an easy commute back and forth to work? 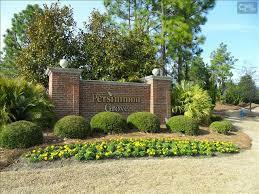 Persimmon Grove might be just the place you’ve been looking for!! Homes in Persimmon Grove are priced to sell! Affordable homes built by Colony Home and Mungo Homes range from the low $100,000’s to the mid $200,000’s. If you are worried about age, nothing in this neighborhood is over 6 years old! Mungo Homes, who is currently building in this neighborhood, offers a large variety of floor plans to meet the needs of each individual purchaser. Currently this subdivision is zoned for Lexington District One Schools. Specifically zoned for Pleasant Hills Elementary, Pleasant Hills Middle, and Lexington High School.